Nickie Nina is back again inside the marketplaces with yet another amazing collection for you. Yes, you heard it right! 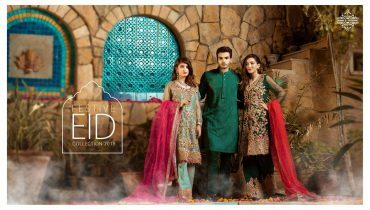 Nickie Nina is giving out the blend of the tremendous collection 2017 for the wedding wear. This whole collection is the complete combination of the artistic approaches where the access of the modernity is visible enough in it. Nickie Nina is one of the well known and famous established brands of clothing in Pakistan. This fashion house is established inside the fashion world for the last few years and has been all infused in giving out the coverage of the women based clothing collections. They are best with their clothing fashion highlights where the taste of elegance and stylishness is favorably evident. In this latest Nickie Nina bridal wear collection for women 2018, the fashion lovers will be finding the traditional designed clothing dresses that are designed just as in accordance with the fashion style trends of the ladies. Long shirts and medium length knee shirts are fascinating included in this clothing collection with the pairing of the lehengas and shararas. The adornment over the clothing dresses is basically done with the embroidery perfect use on top of it plus the gota work and shading of the motifs and stone work being done on top of it. 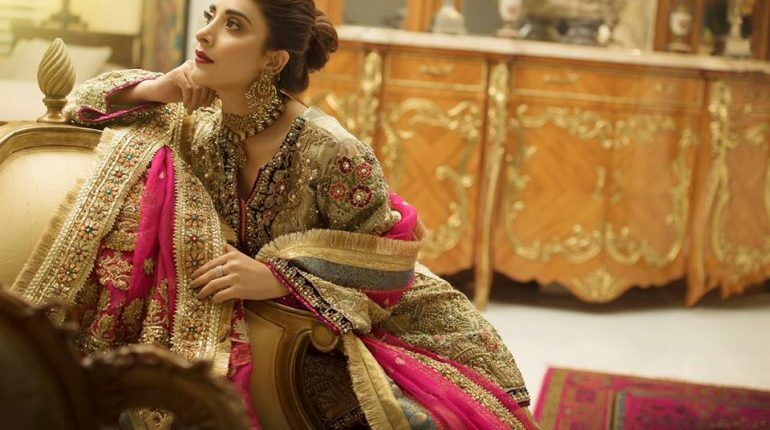 Women can choose this collection at the best in order to make it wear at the wedding functions and on their big day as well. Much a soft and light shade of the color combinations are being shaded in the collection dresses. Creative hues and finishing of the artistic cuts have been done all together in it. At the end we will be sharing with some of the beautiful pictures from Nickie Nina bridal wear collection for women 2018. 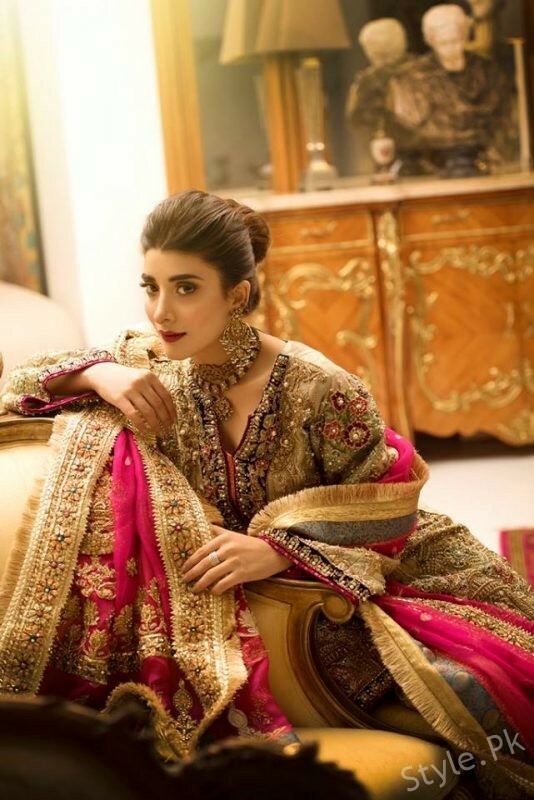 The featured model for the collection shoot is famous celebrity Urwa Hocane. She is looking exceptionally stunning in the bridal dresses. It’s all fabls collection of bridal suit. We appreciate you work so hard for latest trends and fashion mixed bridal dress for our brides,,,, thanks for your invention’s. please mention each suite price for help to manage wedding budget. MasterG also needs these price information.